Had I known that my adopted mindfulness practices and spiritual awakening would eventually lead me to host professional women’s retreats, I am not sure I would have believed it. Just last week, I invited 12 professional women, with decades of experience, into my lake home. Not just to discuss career strategies to advance their career, which is aligned with my daily work, but also to help them strengthen their inner compass. Most of these women have attended at least one conference this year and likely hundreds throughout their career. Their work week often includes dinners and catered lunches. With similar experiences in my career, I wanted to create a more nurturing experience, which is why I opted for a house setting rather than a hotel. I also decided to hire an organic chef instead of dining out. 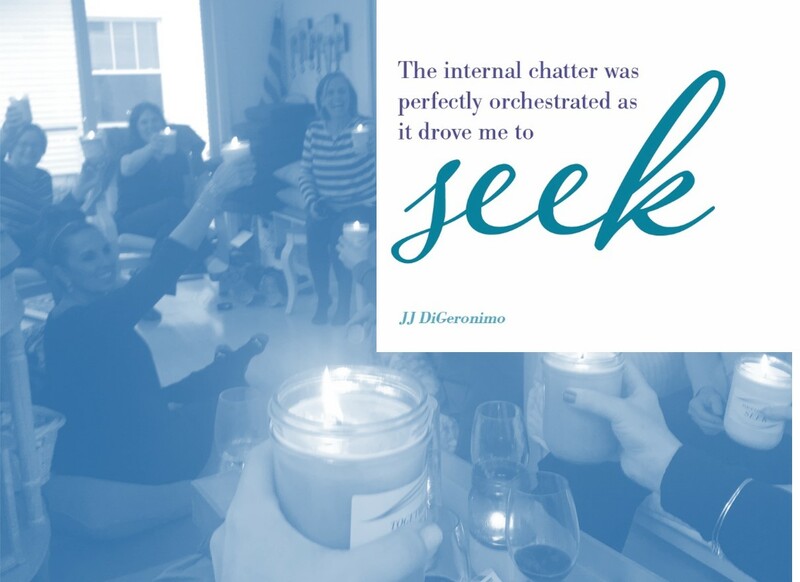 When envisioning this gathering, I felt compelled to create a space where women could come together within an intimate setting to focus on self-care, alignment, and inward connection. The concept of bringing together professional women to learn, connect, and share came to me years ago. In fact, it appeared in my thoughts as a gentle nudge. My desire to bring women together in a new way seemed refreshing and exciting. However, the fear of not knowing exactly what to do or create, along with the unexpected costs kept me in a holding pattern for longer than I would like to admit. Can you relate to this? Is there something that continues to reappear for you that you are waiting to launch or something you would like to do but reassure yourself that now is not the time? Check out my Thrive Global article Mindful Actions to Manage Career Fears. I needed a push of encouragement. And one was granted! A spiritual guide, by the name of Dora, was brought forward at a time when I felt that I was contemplating my next move. She invested time in me and provided excellent advice. Her timing was impeccable, and I moved from a place of fear to a place of action! I meet women every day, through my work, that are ready to jump but sit on the edge contemplating if they are ready enough. These women evaluate every potential outcome and often focus on the worse possible scenario. They essentially override their heart by convincing themselves that now is not the time. So they wait. I am sure you can think of someone that has waited a lifetime and never taken action on their dreams or heart’s desired. It is sad, as I can think of many that are so excited to share their dreams, but quickly follow it with detailed explanations as to why now is not the time. Her simple message was what moved me from guessing to knowing. Weeks later after meeting with Dora, my inaugural overnight Together We Seek Retreat was planned, and practitioners were confirmed. I was enthusiastic about the women’s arrival, the agenda, and each practitioner. I built an agenda that excited me, and I now see that it was a gift from the Universe! What is Together We Seek Retreats All About? These gatherings bring together professional women in a variety of locations to explore, discuss and embark on new levels of awareness and experiences with the hopes they depart more refreshed, energized and inspired. Surrounded by Mother Nature and with nourishing meals from local culinary talents; Together We Seek Retreats creates a space for professional women to come together to explore, experience and connect through ancient practices, storytelling, and meaningful conversations. With glowing reviews from all the women who attended, I am already planning the next retreat. Many of the women who helped me launch the inaugural event plan to come again and bring another professional friend! The chef was fantastic, and the energy practitioners shared many techniques and practices that gave women many tools they could immediately put into action. But what I did not fully anticipate were the relationships, connections, and reciprocation that blossomed throughout the time we were together! These exchanges, women connecting and enriching each other’s lives, are what I have reflected upon and radiated-in since we parted ways. As I drove away from hosting my first overnight retreat, I realized that I was more inspired than I was when I arrived. I experienced warmth in my heart that is still with me today. My gifts empower me to create space and experiences for women with the hopes they depart more refreshed, energized and inspired than when they arrived. With this in mind, I encourage you to think about what has continued to resurface in you. What are you being drawn to do? Think about the obstacles you have created and why you have not moved on it yet. I encourage you to evaluate why you are in a holding pattern and if you need some guidance, please feel free to ask me about Dora or the practitioners that participated in the retreat; I would love to share them with you!